By Nick Ostdick. Nov 26, 2015. 9:00 AM. Today is Thanksgiving in the United States, and that means friends and families are coming together to give thanks and express gratitude for what and whom they have in their lives. A day focused on gathering around a shared table to indulge in extravagant food and drink, one could argue Thanksgiving is the purest of all holidays where the pressures of a commerce-driven culture are set aside in favor of breaking bread, telling stories, and celebrating a communal moment of peace and good will—that is, at least until the Black Friday sales begin. It’s a well-worn stereotype that writers are often a curmudgeonly bunch. The trope, more often than not, is proven time and again that the most prolific and talented authors are reclusive, anxious, introspective, and less inclined to the reverie many of us feel as the turkey is sliced and the pumpkin pie divvied out. Yet throughout the American literary landscape—and the literary canon the world over—one does not have to search too hard to find some of the written word’s most famous luminaries waxing philosophically and beautifully about this holiday and its central theme of gratitude. In a profession that often glorifies the smug, dubious, and abstruse, it’s a refreshing change of pace to see the greats of arts and letters ruminate fondly on Thanksgiving and what it means to them. Today, as you’re relaxing around the dinner table with loved ones, here are just a few quotes to get you thinking about the true nature of Thanksgiving and everything for which you are most thankful. "Reflect upon your present blessings, of which every man has plenty; not on your past misfortunes, of which all men have some." 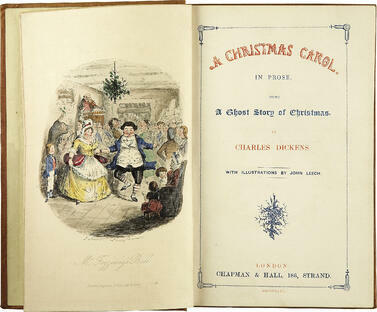 - Charles Dickens (1812-1870), author of several holiday-themed works, including A Christmas Carol. "Silent gratitude isn't very much to anyone." - Gertrude Stein (1874-1946), an ex-patriot who moved to France in 1903 and pioneered early 20th Century Modernist literature. "You cannot do a kindness too soon because you never know how soon it will be too late." 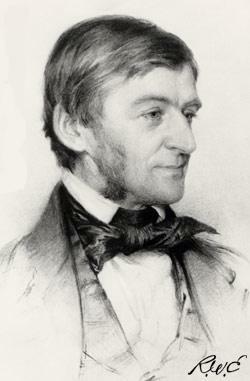 - Ralph Waldo Emerson (1803-1892), known for helping to forward the Transcendentalist movement, which placed an emphasis on nature, contemplation, and reflection in order to attain greater peace and wisdom. "They both seemed to understand that describing it was beyond their powers, the gratitude that spreads through your body when a burden gets lifted, and the sense of homecoming that follows, when you suddenly remember what it feels like to be yourself." - Tom Perrotta, author of the quirky, best-selling novel Election and the post-apocalyptic The Leftovers, which has recently been adapted into a television series for HBO. “Thanksgiving dinners take eighteen hours to prepare. They are consumed in twelve minutes. Half-times take twelve minutes. This is not coincidence.” - Erma Bombeck (1927-1996), an American humorist and newspaper columnist known for her comical takes on suburban life from the 1940s through the 1960s. “Be thankful for what you have; you'll end up having more. If you concentrate on what you don't have, you will never, ever have enough.” - Oprah Winfrey, whose writings have appeared in a number of nationwide publications and whose book club, Oprah’s Book Club, has vaulted a number of writers to international prominence. "Thanksgiving is a typically American holiday...The lavish meal is a symbol of the fact that abundant consumption is the result and reward of production. "- Ayn Rand (1905-1982), author of many political and philosophical novels, most notably Atlas Shrugged. 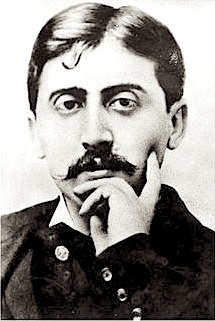 “Let us be grateful to people who make us happy; they are the charming gardeners who make our souls blossom.” – Marcel Proust (1871-1922), whose novel In Search of Lost Time is widely considered one of the most difficult and rewarding books of all time. "Gratitude is a quality similar to electricity: it must be produced and discharged and used up in order to exist at all." – William Faulkner (1897-1962), who is the most famous chronicler of the southern United States post Civil War. Faulkner is highly regarded for his dark humor and the bleak, desperate characters that populate his fictional Mississippi setting, Yoknapatawpha County.